Just a place for me to post in a single location my various musings and obsessions about bicycle technology. In the previous blog post (Win Tunnel Playtime - Part 1), I described how this particular adventure came about, and I presented the bulk of the data collected, which was the result of a large amount of wheel and tire testing. In this post, I'll be covering the remaining testing we did on that day. In short, we did a small number of bike-only runs, varying the front wheel on the bike. This was done in an attempt to see how the differences in drag compared to the wheel-only runs for changes in front wheels. 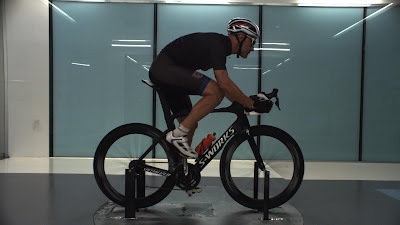 Most of the testing was done using my personal bike (a Stinner Frameworks custom steel road frame), and for comparison sake, we also tested a brand new Specialized Venge ViAS which just happened to be available <smirk>. Stinner with Hed Jet6+ wheels and 24C Specialized Turbo Cottons. Specialized Virtue bottle. This setup represents my own personal rig, set up in what I like to call "crit mode". Same as #1, with front wheel swapped for a Roval CLX64 with a 22C Specialized S-Works Turbo tire. Same as #1, but with front wheel swapped for Flo 90 with 23C Continental Super Sonic tire. Same as #3, but with round bottle and bottle cage swapped over from Venge ViAS frame on downtube (low location). Venge ViAS with Roval CLX64 wheels, 22C Specialized S-Works Turbo front, 24C rear. Round bottle on downtube. Aside from how impressively low the drag is for the Venge ViAS in that chart above, what is particularly interesting is how those 3 upper plots (with the same bottles on the bike) compare to each other, AND to the wheel-only data. To do that comparison, I looked at the differences seen between those particular combinations of wheels and tires during the wheel-only testing and compared them to the bike testing. Those comparisons are summarized in the following 3 charts. What we can see from the above is that in most cases the differences in drag observed from wheel only data are within 0-.002 m^2 of the differences observed when those same wheels are swapped for the front wheel in a bike. There are a couple of differences that vary by .003m^2 in that data, but overall I'd have to say that the "predictive" utility of how a front wheel will perform within a bike based on wheel only data is pretty good. Now we get to the part where we put a "floppy human" (me!) on board and see what happens. Due to time constraints, for this portion of the data gathering we only took 2 yaw data points (0 and 10 degrees), which each consisted of 60s of sampled data. Since the Venge ViAS was there (and in my size!) of course I made sure to get a set of runs in on that. Since the Venge was the last bike from the bike-only runs and was already mounted to the tunnel balance platform, that was the first up. And finally, we swapped the front wheel for the Roval CLX64 and 22C S-Works Turbo. As you can see, the difference at zero yaw between the Roval wheel and the Jet 6+ (as configured) was ~.003 m^2, which compares pretty favorably with the ~.002-.003 m^2 observed in the wheel-only and the bike-only testing for those combinations. At 10 degrees of yaw, the difference appears to be somewhat larger, with the bike-with-rider testing showing a difference of ~.012 m^2 whereas the bike and wheel-only testing was more like .006-.007 m^2 of difference observed. What's truly interesting though, is how closely the overall drag was brought together between the Stinner and the Venge ViAS when a rider is on board. At zero and 10 degrees of yaw, the drag difference appears to be less than half of what was observed in the bike-only testing. This puts my overall drag when on the Stinner to within .004-.006 m^2 of what it was on the Venge ViAS at zero and 10 degrees of yaw. Obviously, there must be something going on with bike interactions near the rider. Also, it's important to point out that the comparison between the bikes wasn't completely "apples to apples" since the water bottles were different. However, the Venge ViAS is designed to be basically "bottle neutral", so that's not too big of a factor. Another difference was that the bars were not identical, neither in model or in width. But again, the bars on the Stinner, although slightly narrower (40 vs. 42 for the Specialized bar) also have drops which are deeper...so, that probably ends up being a "wash" in the bike-only testing. So...another large dump of data...with a few good conclusions. It appears that when making changes to the "leading edges" of the bike equipment (such as wheels, forks, bars, etc) drag differences observed in component-only and bike-only testing "hold" when applied to testing with a rider on board, at least for near zero yaw. However, that probably can't be said for pieces of the puzzle that are further back in the flow and interact more closely with one another. So the big question is - does the superior Crr of the 24mm Turbo Cotton make up for the aero penalty? My guess is that it is still faster at zero yaw, but at 10 degrees the 22mm S-Works Turbo is faster. And are you willing to give up your metal brake track and pick up some CLX64s? The Crr question is a good one...and I intend to answer that in another blog post...AFTER I do some roller testing that's staring me in the face. As far as the metal brake track goes...no need to give it up, since it can be seen in my previous blog post (part 1) that with the same tire mounted (22C S-Works Turbo) the aero performance of the Hed Jet 6+ is nearly identical to the Roval CLX64. Wondering if you have been able to combine the Crr and Aero data to figure out which tire is the fastest? 26mm Turbo Cotton for maximum Crr benefit? 24mm Turbo for a sweet spot of Crr/aero benefit? Etc? Tom, I think from the you on bike pics you do not have the same position on both bikes. You appear to be slightly higher and hunched over on the Venge vs. the Stinner. This will account for some aero drag differences. The difference in handlebar width will also cause some drag delta, Perhaps this might help to explain the closer than expected drag data. I think you may be getting "fooled" by some geometry differences between the 2 bikes (for example, the BB drop is less on the Stinner). In any case, Specialized has the ability to overlay the side pics to assure consistent positioning. Cam did that and was satisfied with the positions being close enough for the comparison (after "shifting" the position to get things to line up). Nice article indeed. Just wondering on the statement that the Vias is drag neutral when adding bottles. Are you sure about this? Cervélo's CFD engineer said that the drag due to one bottle is about 9% of the total bike drag so we are talking about a CdA increase of 0.006. This is supposedly for a bike designed for bottles (S5). The "drag neutral" comment is something I recall Chris Yu saying...and looking at the design of the downtube on the new Venge, it makes sense to me (and I mean that in comparison to an S5, which I used to have)...and by "drag neutral" that means with or without a bottle. However, in this case it was a comparison of round bottle on the Venge (which apparently doesn't add much, if any, drag) and the Stinner with the Virtue bottle...and, with the bike only data, we see that the delta between a round bottle and the Virtue bottle on the Stinner is only ~.001-.002m^2 additional drag. So, I think it's safe to say that's probably the most likely additional drag for a round bottle on the Stinner even with me on board. 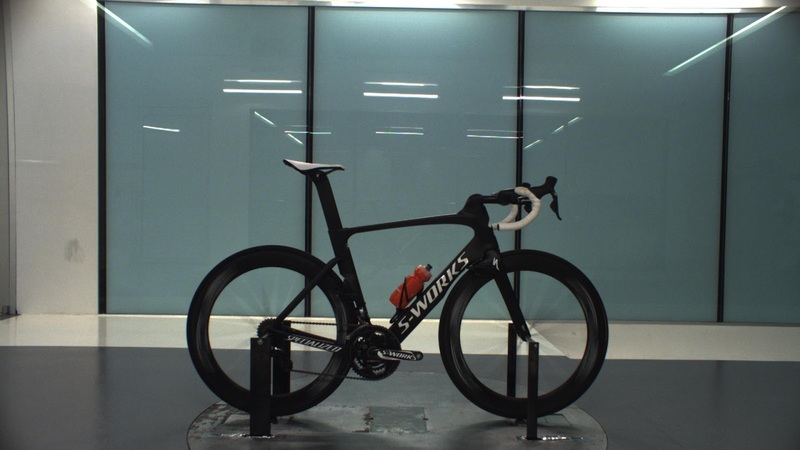 Tom, did Specialized share the Vias data without the bottle on board? Data would be interesting since as Eduardo mentioned, this would be the first time that a round water bottle was seen to not contribute to drag, and would thus add a very interesting data point to the body of knowledge regarding bicycle aerodynamics. Can you give some figures about additional drag when adding two bottles? You focused on bottle integration for the new Syn so you should have lots of data on this. I estimate something like 110-130gF at 30mph. Hi Eduardo, I am out of the office so I have no access to our complete bicycle in a wind tunnel data, but from memory we saw about 150g of drag with a water bottle on the downtube of the Magnus. Also, and I will ask Tom too unless he replies to this thread, do you know if Specialized ever published their error data, or any other reliability data (eg. exact conditions at time of testing, airflow quality, exact air speed at the pitot tube, etc.? I'd like to be able their published data in some way so that we build the body of knowledge, not have to repeat every test every time. As you know, my training is in science so I am a big believer in secondary research. ...back to water bottles. 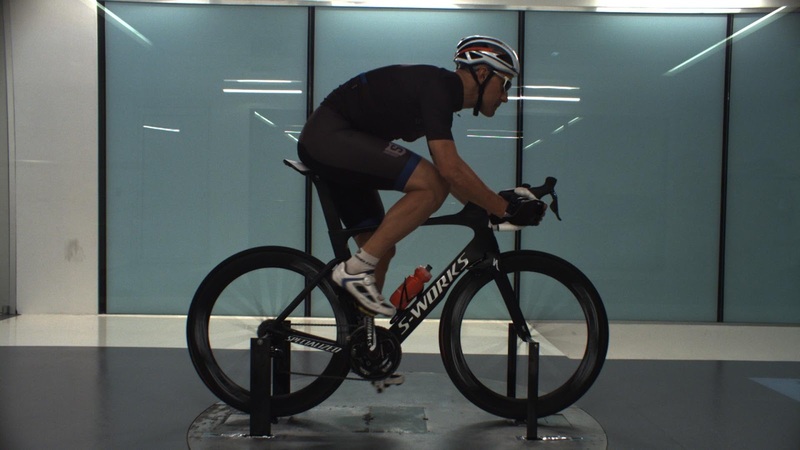 Our focus of the CFD work was airflow analysis, and not just on complete bike models. 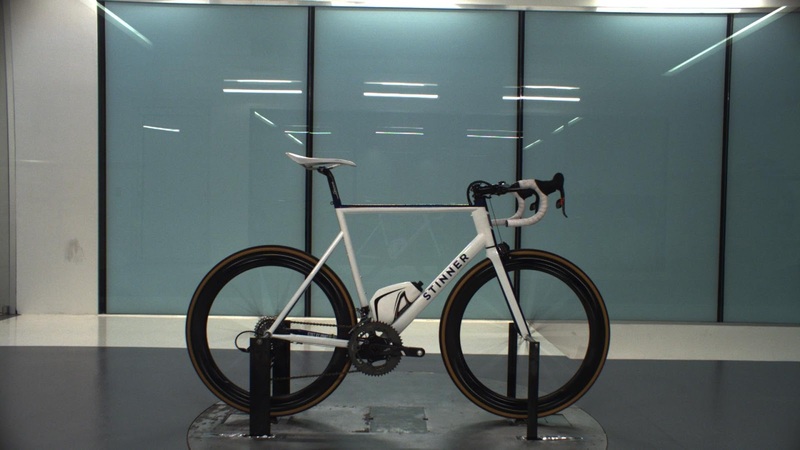 We will do more wind tunnel work at the Flanders Bike Valley as by then the wind tunnel will have been completed, calibrated, verified and the PIV system up and running. Wow. 150gF seems a lot for just one bottle compared to what Cervélo is reporting. Yes, but this is from memory and with our standard bottle which is the longer/higher capacity variety, not the small bottles that pros use. Also the Magnus is a standard road bike with no aerodynamic solutions. 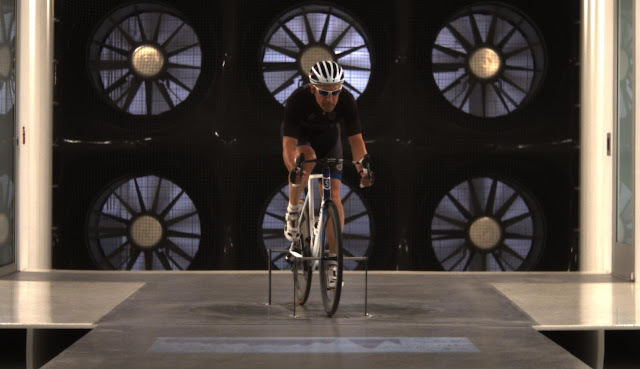 in the The Win Tunnel: How to Save Minutes on the Road video,Chris Yu's drag on a Venge seems way higher than yours(~0.30) in a good looking drops position. Does this mean you are 'aerodynamically gifted',or is Chris Yu bigger than he looks ? How much time would you thus save over 40km with the setups?